GREENVILLE - Joanne Stovall, 67, of Greenville, died Saturday, July 21, at the Muhlenberg Community Hospital in Greenville. She was born in Muhlenberg County on August 24, 1944, was secretary at the Greenville Police Department and a member of the Second Baptist Church in Greenville. She is preceded in death by her parents, Burvey and Ruth Whitlow Hendrix and a sister, Patsy Peterson. Survivors include a son, John D. West, Jr. of Greenville, a daughter, Melonie West (Ken) Houser of Greenville, five grandchildren, Kennya Houser (Derek) Gill, Keaton Houser, Logan West, Lexis West and Dillon West, two sisters, Linda L. Dukes of Greenville and Janice (Don) Sandefur of The Villages, FL. 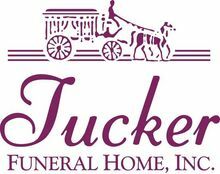 Funeral services will be held at 11:00 AM on Tuesday, July 24 at Tucker Funeral Home in Central City, conducted by Dr. Ray England and Rev. Bob Thurman with burial to follow in the Friendship Cemetery in Greenville. Visitation will be after 5:00 PM on Monday and after 8:00 AM Tuesday at the funeral home. The beautiful and interactive Eternal Tribute tells Joanne's life story the way it deserves to be told in words, pictures and video. I sure enjoyed Joanne during my time in Greenville and Muhlenberg County - during the 80's - she was a friend and one I will never forget. Your mother was so sweet to have come to my moms funeral last year. She was I believe the first one to walk in the door, and one of the last to leave that day. She watched her video over and over, and was so good to tell stories about mom. 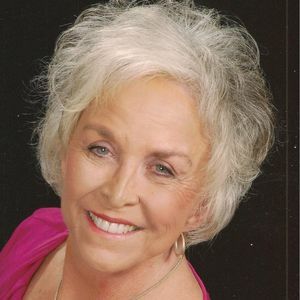 Im so sorry to hear of her passing, but I know she and my mom and are having a grand ole time! Our thoughts and prayers are with all of you. We are truly sorry for your loss. My thoughts & prayers are with you for comfort & peace until you're together again. Families are forever. My prayers are with your family today. Thank you for all that you did to help me in a time of need. Just a good ear helped. God Bless. I was so saddened when I heard of Joanne's death. We were really close friends in high school, and had just reconnected last year while planning a reunion. We just picked up with emails and phone calls and a few visits back to Greenville. My thoughts and prayers are with her family in the days ahead. We are so sorry to hear about Joanne Stovall. Our love and prayers to Linda Dukes, Jan and the whole family. May God bless you during this very sad time. Joanne always had a smile when I would see her. She was a friend to me no matter what the circumstances were in our lives. I know you will miss her and I am sorry. Please accept my sincere sympathy to you all.